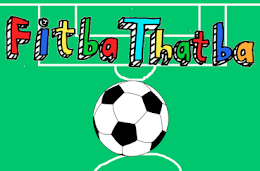 The Champions League is arguably the very pinnacle of elite football, featuring all of the stars, great managers, fantastic games and incredible come backs. And Gareth Barry. You may recall that Man City actually won the Premier League last year and that this is a very hard thing to do - the only thing harder would appear to be winning one Champions League game. What makes it even more incredible that City won the league is that they managed to do so despite having James Milner and Gareth Barry in the starting 11 most of the season. It's not that these guys are bad players particularly, it's just that they are so, so, so lame that no-one cares. They are the exact player you immediately sell in Football Manager because they don't have any redeeming skills or special moves and you never miss them. No-one at a party anywhere in the world has ever thought 'aw man I could really use James Milner to turn up right now and liven this place up'. It's like having the money to buy a ferrari and instead spending it on a horse because it did alright for Aston Villa ages ago. Anyway, Mancini was like 'it's my fault' after City lost 3-1 to Ajax tonight and left themselves with about 0 chance of qualifying for the next round. If this actually was FM, the Italian would immediately have been binned post-match. Micah Richards did an interview afterwards where he moaned about not having played in a formation with 3 defenders before, which will probably make his boss really happy (SARCASM) and isn't really an excuse for a team that cost more than INSERT EXPENSIVE ITEM. 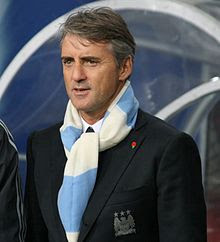 The other thing that confuses me with Mancini is I can't tell if he knows what he's doing or not. His managerial record before City is amazing (won 3 serie-a titles in a row with Inter, took Lazio and Fiorentina to cup wins and Europe with no money) but he doesn't seem to be able to get the team with unlimited funds to even turn up for European nights. And then I remember he keeps playing Gareth Barry. He is the long rectangle in a game of tetris when what you need is a weird z shape. I lost track of where I was going with this post a long time ago.